As Vice President of Asia Pacific and Japan, Mark Micallef leads Cloudera’s strategic sales and channel development, direction, team development and overall goals for the fast-growing region. With over 24 years in the information technology industry, in roles spanning across technical, sales and management functions, and having held regional leadership roles at Citrix since 2009, Mark is extremely familiar with the Asia Pacific market and brings a holistic perspective to Cloudera. Since joining Citrix in 2004, he was instrumental to the company’s success and growth across ANZ, China, Korea, India and ASEAN. One of his key achievements was building and tripling the enterprise business in Asia within two years. 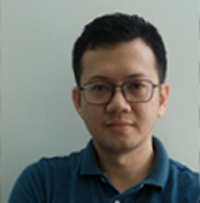 He also played a significant role in building a new team focused on Open Source Cloud Infrastructure, following the acquisition of Cloud.com in a previous appointment as Senior Director, Cloud Platform Group, Asia Pacific. Prior to joining Citrix, Mark was National Sales Manager at Trend Micro and established their Australian operations in 1996, where he led the sales team for over eight years. He also has a strong grasp of technical support, having played a leading role in this function for four years at Symantec.